Moteurs à pistons Il y a 3 produits. 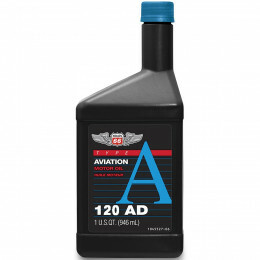 L'huile Exxon Aviation Oil Elite 20W-50 est une huile pour moteurs à pistons aéronautiques semi-synthétique avec formulation sans cendres et de qualité supérieure. Elle est formulée à partir d'huiles à base minérale sélectionnées et hautement raffinées, d'une huile à base synthétique polyalphaoléfine et d'additifs aux performances sans cendres assurant une propreté exceptionnelle du moteur, une protection contre l'usure ainsi que contre la corrosion. You might be interested to know that the auto manufacturers, as a group, define the quality of the oil required for their cars. They set all the performance standards for automotive oils. 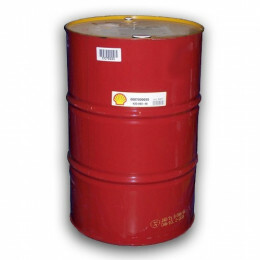 These include wear protection, piston deposits, rust protection, oxidation, fuel economy, sludge control, low temperature viscosity, oil consumption and catalyst protection. You might be surprised to learn that the aircraft engine manufacturers have no input into the quality of the oils used in their engines. They simply approve the use of any FAA certified oil. And that certification standard is merely one of “Do No Harm”. The current SAE spec, J1899, is still based on a WWII Navy Specification, MIL-L-22851. Not exactly a modern high performance standard! How often do you change the oil in your car? 3000 miles? 5000 miles? 10,000 miles? Do you know why? If you said 3000 miles, is it because you’ve that’s what you’ve always done? And oil is cheap insurance. If you said 10,000 miles, is it because that’s what the manufacturer says? If you said 5000 miles, is it because you feel it’s a good compromise? The auto manufacturers determine their oil change intervals based on a combination of three problems: One, the oil wears out (actually the additives get consumed.) Two, it does not hold its viscosity grade thru oxidation or polymer breakdown. Three, it gets contaminated with fuel and water. If the manufacturer sets the oil change interval at 10,000 miles for average use, they know that none of these problems will occur until well after this mileage. How often do you change the oil? 25 hour? 35 hours? 50 hours? Once a year, at annual? If you said 25 hours, is it because that’s what your friends of the forums do? If you said 50, is it because it’s what the manufacturer or mechanic recommends? If you said 35 hours, is it because you feel it’s a good compromise? The aircraft engine manufacturers currently specify an oil change interval of 50 hours or 4 months with a full flow oil filter or 25 hours or 4 months with an oil screen. Current filter technology offers nothing to warrant the doubling of the oil change interval. 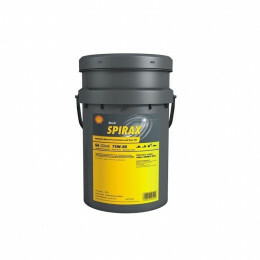 Filters do not remove water, acids or the important 10 micron abrasive particles. There is no published information from either engine manufacturer that explains or justify this extension. Car engines are very different from aircraft engines. Car engines are water-cooled (radiators) and aircraft engines are air-cooled. This difference is crucial. 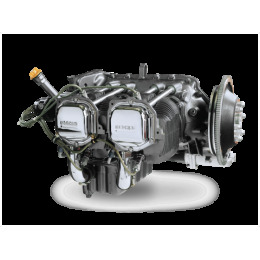 The reason is that air-cooled aircraft engines have large designed clearances between the pistons and the cylinder walls to prevent piston scuffing as the cold engine warms to operating temperature. Figure 1. Water-cooled car engines do not require large clearances between the pistons and the cylinder walls because of tight temperature control attainable because of water cooling. This difference in cylinder/piston clearance is responsible for the dramatic increase in blow-by contamination of the aircraft oil. Blow-by is the small amount of combustion gas that squirts by the piston rings during every high pressure combustion event. Blow-by consists of unburned fuel, partially burned (and chemically reactive) fuel, water, and copious amounts of heat. And, when using leaded fuel, tiny lead bromide particles. It is this blow-by contamination that limits the useful life of aircraft oil. The bad actor in the blow-by is the partially burned and chemically reactive fuel known in the oil formulation business as varnish precursors. It is these varnish precursors that causes virtually all the problems we see in general aviation engines. It forms all the varnish and carbon deposits that plate out on the hot surfaces of the engine. See Figure 2. Varnish also acts as the glue that combines with lead bromide particles to form sludge. See Figure 3. Varnish precursors react further to forms acids that collaborate with the abundant amounts of water present, to promote rust (pitting). see Figure 4. Oil companies add Ashless Dispersant (AD) to the oil to react with the varnish precursors holding them in suspension until the oil is changed. Unfortunately, there is a limited amount of dispersant and it may be consumed in as little as 20 hours, depending on the engine. To keep an engine clean it would require changing the oil prior to the consumption of the dispersant. But how do you determine when this is? Or is there another option. CamGuard works with the ashless dispersant by neutralizing the reactive precursors preventing varnish formation. Machines wear out. CamGuard anti-wear chemistry provides dry scuffing protection and demonstrates an average 35% reduction in wear metals, Iron, Nickel and Chromium. Anti-wear Additives: Protection for the long haul. Time, heat and chemical attack cause seals in the engine to harden and weep oil. CamGuard contains additives to recondition seals and stop leaks. CamGuard is the first real alternative to marginal commercial oils. It demonstrates new standards for levels of cleanliness, rust protection and wear reduction. CamGuard, can you afford not to use it?